Sage made her Flyball debut at the Blue Ridge Blast tournament in December 2017. Thanks to her wonderful, patient teammates on Sonic Boom Multi Team, Sage got her FD, FDX, FDCH, MBD, MBDX and MBDCH titles that weekend! She absolutely loves Flyball. There is nothing better than a tennis ball. 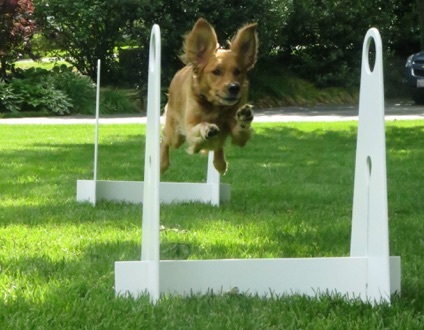 She also competes in Agility and Obedience and is doing very well in both. She hopes to try Fast CAT in the near future.